Home / The Blind Truth (Full LP, Download) with Special Bonus Tracks! 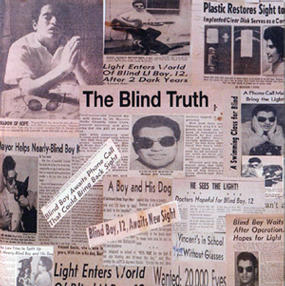 The Blind Truth (Full LP, Download) with Special Bonus Tracks! Here is the full ‘Blind Truth’ album in download form, featuring high-resolution MP3s. As a special bonus, we’re including the full ‘Live At The Downtown’ album with this download – Vinny and the Seeing Eye Dog Band playing the hits of the immortal Ray Charles live in concert!